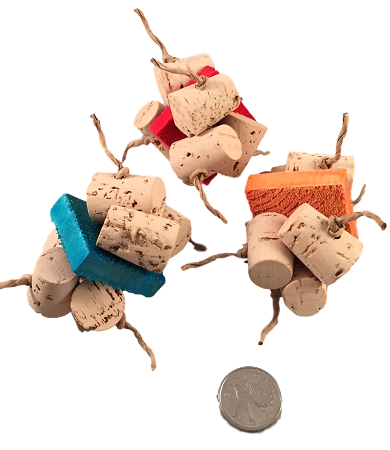 Loads of Cork on this little footer - 6 x 1" corks with a 1.5x1.5x 3/8" pine slice. Assorted colours chosen at random. 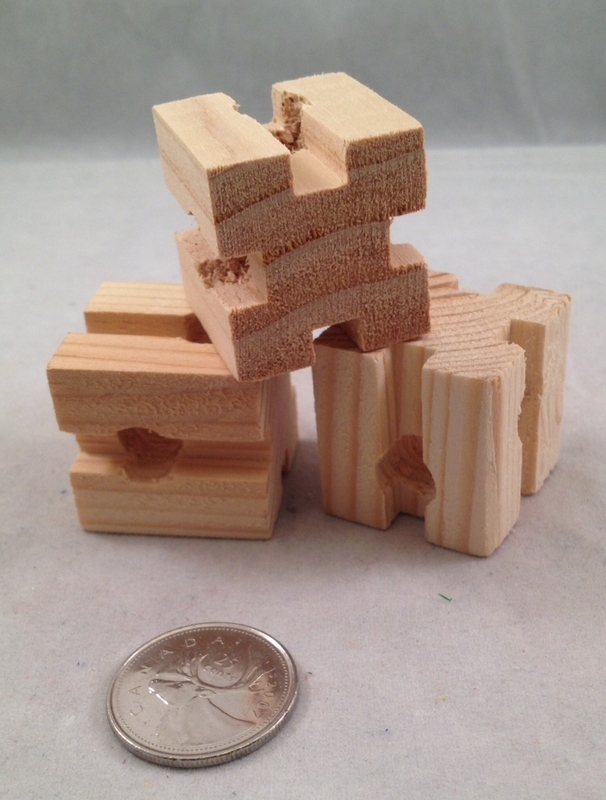 Suitable for intermediate to large-sized birds. 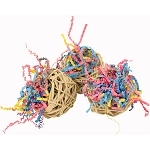 3" x 1.75"
Vine Munch Ball - 3"